Casa Global Gift is a project supported by the Town Hall as a symbol of the city of Marbella. In the first phase of reconstruction of the donated space, Maria Bravo revealed that the Godmather of the first Casa Global Gift will be actress Eva Longoria. The official presentation of Casa Global Gift took place on July 17, 2016, featuring the members of five local associations and international support for the cause. 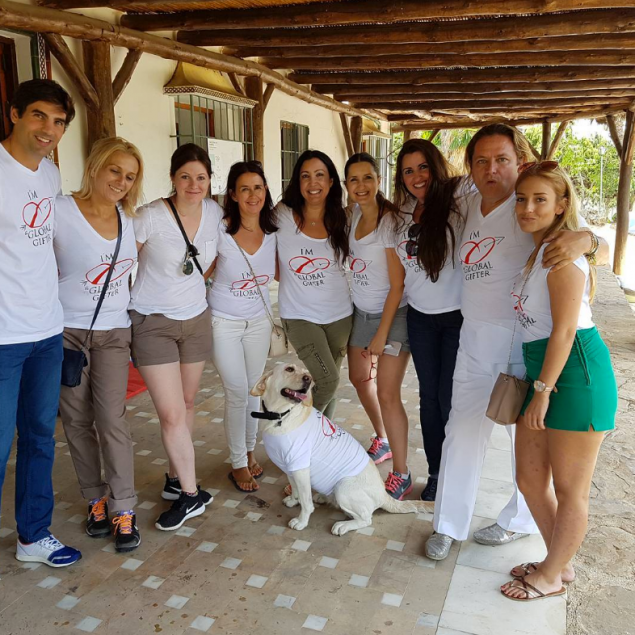 On the morning of the 17th, the Global Gift Foundation presented Casa Global Gift to its main international donors who travelled to Marbella for the occasion. The donors had the opportunity to meet the little ones who will benefit from the charity as well as to see the facilities that will be refurbished in the near future. All the local companies involved in the Casa Global Gift project had a brilliant opportunity to make their donations in person to the Ambassador and Honorary Chair of the Global Gift Gala, Eva Longoria. Amaury Nolasco as well as a number of national and international celebrities joined Eva on the memorable day. The Global Gift Gala is a unique international fundraising event held in several cities around the world. The platform brings together the worlds of businesses, celebrities, and philanthropy to raise funds for and awareness of the foundations. As such, it has managed to create a substantial difference in the lives of countless children and adults in need on the global scale. The Global Gift Foundation itself has the support of such sponsors as Gran Meliá Don Pepe, SEMANA, Duc de la Rose, Meliá Marbella Banús as well as other collaborative entities like Iberia, Audi Safamotor, Garcatri, Mahou-San Miguel Foundation, and Rives-King Peter.